I spy with my little eye... Dinner at Royal China. 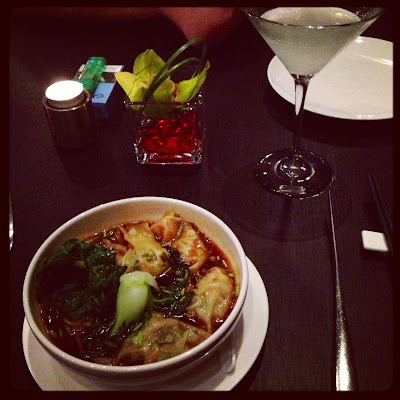 When we find ourselves in DIFC at night, my ladies and I like to treat ourselves to a Dinner at Royal China. It's light, it's fresh, it's healthy, and we all seem to have an obsession for dim sum. The service might sometimes be slow but the management is very welcoming and happy to get out of their way for their clients which I do appreciate. I recommend the dim sum soup, it's a lunch special but if you are lucky, they will agree to make it for you for dinner. They also have an excellent bar tender. If you want a proper martini, you can ask for Dimas, he knows his cocktails! I spy with my little eye... an Art opening. I spy with my little eye... an Auction. I spy with my little eye... a Pink Ladies Night. I spy with my little eye... the Affordable Night. I spy with my little eye... a Baby Shower. I spy with my little eye... a surprise box. I spy with my little eye... a goodie bag! I spy with my little eye... a Photoshoot. I spy with my little eye... Art Night! I spy with my little eye... the Dubai Eye. I spy with my little eye... The Stella. I spy with my little eye... Paris's Bars. I spy with my little eye... Memories of Paris. I spy with my little eye... a New Year.